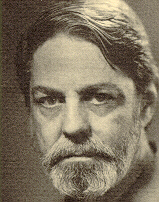 Shelby Foote, fiction and nonfiction writer, best known for his three volume historical work The Civil War: A Narrative (1958, 1963, 1974), is also highly regarded for his novels and short stories concerning the heritage of the American South. His novels include Follow Me Down (1950, 1978), Love in a Dry Season (1951, 1992), Shiloh (1952, 1976), and September, September (1978). Foote provided commentary for Ken Burns' PBS television series, The Civil War. 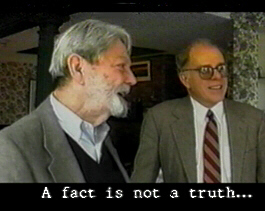 Shelby Foote visited the New York State Writers Institute on March 20, 1997. "History and literature are rarely so thoroughly combined as here." Twenty years ago, in 1954, novelist Shelby Foote began this monumental work with these words: "It was a Monday in Washington, January 21; Jefferson Davis rose from his seat in the Senate . . ."
With Grant and Lee deadlocked at Petersburg, Sherman takes Atlanta--assuring Lincoln's reelection, together with the certainty that the war will be fought (not negotiated) to a finish. These events are followed by Hood's bold northward strike through middle Tennessee while Sherman sets out on his march to the sea, to be opposed at its end by the ghost of the Army of Tennessee. Hood is wrecked by Thomas in front of Nashville the last big battle--and Savannah falls to Sherman, who presents it to Lincoln as a Christmas gift. Meantime, Early has threatened Washington, Price has toured Missouri, Farragut has damned the torpedoes in Mobile Bay, Forrest has raided Memphis, and Cushing has singlehandedly sunk the Albemarle. And Sherman heads north through the Carolinas, burning Columbia en route, while Sheridan rips the entrails out of the Shenandoah Valley. Then, penultimately, Lee at Appomattox, the one really shining figure in this last act. Davis's flight south from fallen Richmond overlaps Lincoln's death from Booth's derringer, and his capture at Irwinville comes amid the surrender of the last Confederate armies, east and west of the Mississippi River. The epilogue is Lincoln in his grave; and Davis in his posthumous existence, "Lucifer in Starlight." So ends a unique achievement-already recognized as one of the finest histories ever fashioned by an American--a narrative of over a million and a half words which recreates on a vast and brilliant canvas the events and personalities of an American epic: The Civil War. 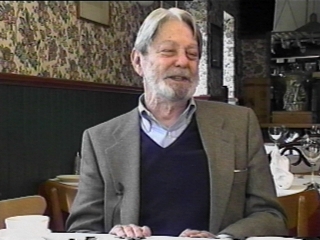 Although he now makes his home in Memphis, Tennessee, SHELBY FOOTE comes from a long line of Mississippians. He was born in Greenville, Mississippi, and attended school there until he entered the University of North Carolina. During World War II he served in the European theater as a captain of field artillery. In the period since the war, he has written five novels: Tournament, Follow Me Down, Love in a Dry Season, Shiloh and Jordan County. He has been awarded three Guggenheim fellowships. I consider myself a novelist who spent twenty years writing history. I maintain that professional historians would do well to learn something about the craft of the novel. This is based on my belief in a paradox that Oscar Wilde pronounced which is that nature imitates art. I think that's profoundly true. Until Renoir painted Renoir's children there weren't any Renoir children. Once he painted them, there were Renoir children all over hell and gone. Once the first painter saw colors in shadows, shadows took on colors for the first time. They hadn't had them before that. And the main thing I noticed about this application of art to life is when I began to get old enough for people I knew well to have died living a fairly full life. I realized that when someone dies, it puts an end to a thing that is truly a work of art. It has a beginning, and a middle, and an end. Until the end occurs, you don't know where the middle occurs. It truly does take on that form. I am what is called a narrative historian. Narrative history is getting more popular all the time but it's not a question of twisting the facts into a narrative. It's not a question of anything like that. What it is, is discovering the plot that's there just as the painter discovered the colors in shadows or Renoir discovered these children. I maintain that anything you can possibly learn about putting words together in a narrative form by writing novels is especially valuable to you when you write history. There is no great difference between writing novels and writing histories other than this: If you have a character named Lincoln in a novel that's not Abraham Lincoln, you can give him any color eyes you want to. But if you want to describe the color of Abraham Lincoln's, President Lincoln's eyes, you have to know what color they were. They were gray. So you're working with facts that came out of documents, just like in a novel you are working with facts that came out of your head or most likely out of your memory. Once you have control of those facts, once you possess them, you can handle them exactly as a novelist handles his facts. No good novelist would be false to his facts, and certainly no historian is allowed to be false to his facts under any circumstances. I've never known, at least a modern historical instance, where the truth wasn't superior to distortion in every way. Everything I have to say about the writing of history was summoned up by John Keats in ten words in a letter. He said: "A fact is not a truth until you love it." That is what I have been saying since I started talking here. You have to become attached to the thing you're writing about for it to have any real meaning. It is absolutely true that no list of facts ever gave you an account of what happened. The bare bone facts are what you use to shape in describing what happened. There are those historians who, I'm afraid, all too often think that good writing gets in the way of the history. In other words, you hide the facts behind blankets of prose. I believe the exact opposite. I believe that the facts told with some art are true narrative which you then absorb into your being and understanding as well as you do a great novel, whether it's a short one like Gatsby or a long one like Remembrance of Things Past.